Ask yourself why Arabs can walk around freely in Jewish communities, supermarkets, hospitals, and shopping centers without worrying that someone will kill them, whereas a Jew entering an Arab community is likely to be slaughtered within minutes. 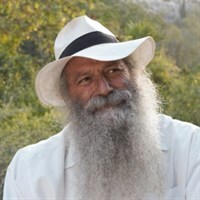 Tzvi Fishman was awarded the Israel Ministry of Education Prize for Jewish Culture and Creativity. Before making Aliyah to Israel in 1984, he was a successful Hollywood screenwriter. He has co-authored 4 books with Rabbi David Samson, based on the teachings of Rabbis A. Y. Kook and T. Y. Kook. His other books include: "The Kuzari For Young Readers" and "Tuvia in the Promised Land". His books are available on Amazon. Recently, he directed the movie, "Stories of Rebbe Nachman." In my opinion, there is no justification for Arabs to walk around freely in any Jewish community in Israel. Last week, I did some shopping in the Rami Levy Supermarket located at the Gush Etzion Junction, meters away from the spot where Ari Fuld was murdered by an Arab terrorist who was walking around freely in the parking lot. The supermarket was filled with Arab shoppers, loading up their shopping carts to the brim. The cashiers were mostly Arabs. This wasn’t Ramallah, but in a supermarket in Gush Etzion, a community of thousands of Jews. If Arabs were denied access to the area, Ari Fuld would still be alive. Too extreme, you say? The fact is that all over Israel, at the junction of roads leading to areas controlled by the Palestinian Authority, there are large signs warning, in bold red lettering, that Jews are forbidden to enter the area. The same thing must be done on roadways leading to all Jewish communities in Israel – large signs with bold red lettering forbidding Arabs to enter the area. Have you ever asked yourself why Arabs can walk around freely in Jewish communities, supermarkets, hospitals, and shopping centers all over Israel without worrying that someone will kill them, when, in contrast, a Jew entering an Arab community or Arab hospital is likely to be slaughtered within minutes? To answer the question, allow me to present a short excerpt from my new novel, Arise and Shine! The hero of the novel, Tevye the Milkman, is sitting shiva over his daughter, Hava, who has been savagely murdered in the 1929 pogrom in Hevron. One of the comforters is Rabbi Shlomo Dichovsky. He recounts his meeting, as a young Torah student, with the famous Chofetz Chaim, just before the Chofetz Chaim died. He came to Radin to ask the great Torah sage if he could travel to Eretz Yisrael to learn Torah, even though living in the Holy Land was dangerous because of the rampant Arab violence against the Jews. "Before I could express the rest of the doubts that I harbored - especially due to the danger in Eretz Yisrael because of the children of Ishmael who were known to kill Jews wantonly on the roads and in the fields - and only a few years had passed since the riots and massacres in the Hebrew year ‘tarap’ (1920) when Arabs had ruthlessly slaughtered Yeshiva students in Jerusalem and showed no mercy even to the women and children. Before I was able to confess all of my apprehensions, the holy Chofetz Chaim answered the question himself. 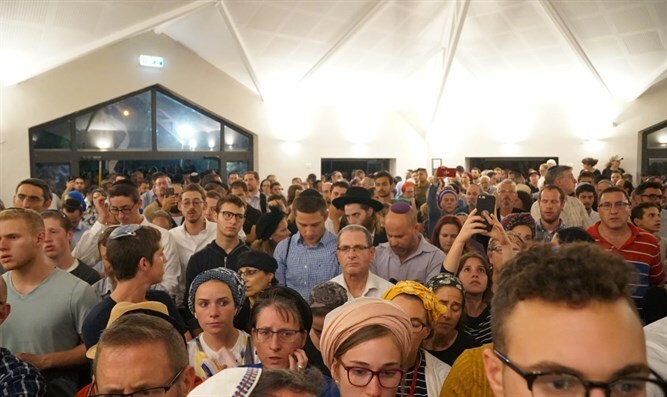 May the murder of Ari Fuld be avenged, and may his love and self-sacrifice for the Jewish People, for Torah, and for Eretz Yisrael, be an example for all of us.